Stick with wholesaling and don’t bit off more than you can chew when first getting started. A lot of people get excited and are attracted to real estate investing because of the large profit margins you can potentially make. Unlike the stock market, real estate is a physical asset, that while it may fluctuate, it retains intrinsic value. Wholesaling houses can make you anywhere from $3,000, $5,000 and possibly more per transaction. Keep in mind this is with reduced investment risk while building all the other components of success. This is a quick and easy way to build your cash reserves to be able to jump into other avenues of the real estate investment world such as rehabbing or private lending. Real estate investing is often a team endeavor, especially as you start out. The more people you know and network with, the more you have your pulse on the local opportunities. 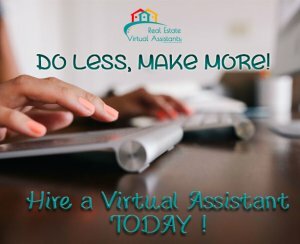 As you build your list of buyers, sellers and private lenders in wholesaling, you are building your reputation for understanding your local real estate market values and business savvy. When you’re ready to step up and make a larger investment, you already have a group of potential partners who have access to capital you may not have. Not only does this help in the purchase of properties, but their resources will also aid in rehabbing and later flipping the property with potential buyers already in your network. 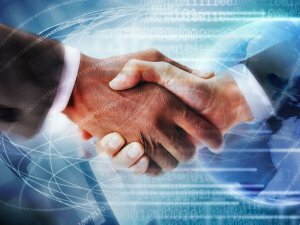 Spending time becoming a good wholesaler establishes solid business relationships with members of your power-team. It also helps you understand bigger market scenarios where slow markets make it easier for investors to negotiate better deals on distressed properties. You’ll also see when an investor chooses to rehab, hold and rent until market conditions improve. This strategy helps investors recoup the cost, get tax benefits and build equity in the property until a later point in time when they can sell for the desired profit but in the meantime, they receive a nice monthly cash flow. Wholesaling houses allows you to get this practical experience, meet the right people and not put your own mortgage on the line and in jeopardy. Keep your day job, DO NOT QUIT. You need a steady income while you work your real estate wholesale deals at night and on weekends. You can still find great opportunities without putting your entire financial future at risk. You need the full-time income to cover marketing, misc expenses, education, etc. to grow and expand your business. Once you have mastered the art of wholesaling, you are better prepared to make your own investments in distressed properties, rehab them and flip them for profit. You’ll know the timelines for success and become a better negotiator when the dollars are bigger and your own. IF YOU ARE A WHOLESALER AND HAVE DEALS IN Texas, GIVE US A CALL AT (817) 550-5069 Opt# 8 OR FILL OUT OUR ONLINE FORM. TMC Property Solutions is an accredited business and A+ rated members of the Fort Worth BBB and has been helping families, buying and selling houses fast, and teaching/mentoring investors since 2000. 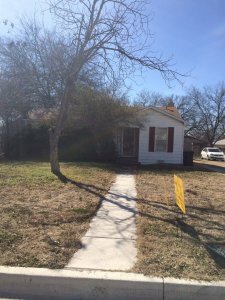 Are you buying houses in North Texas? Come join our West DFW REI Group by clicking here. Network, learn, do more deals. Be sure to check out all the Investor Resources list on the right of this page.